Even during the height of the Cold War, it was for a time fashionable to say that no two peoples were more similar than Americans and Russians. Some of the best journalistic accounts were premised on implicit comparisons (Hedrick Smith of the New York Times conceded this in his classic 1973 book, The Russians). Others went out of their way to accept that Russians were human beings with many of the same foibles as Americans. ‘We found, as we had suspected, that the Russian people are people, and as with other people, that they are very nice,’ wrote John Steinbeck in 1948. American scholars, consumed with technical details, also sometimes turned to comparisons (not simply contrasts). A useful book of 1988 is called State and Welfare, USA/USSR: Contemporary Policy and Practice. One of the most widely read articles in American Historical Review of the last twenty years is called ‘Why Kazakhstan and Montana are nearly the same place’ (Kazakhstan is, of course, not Russia, but the article is about how Soviet and American urban planning produced similar results). The American historian who published this brilliant piece went on to write a book that described the intertwined history of Richland and Ozersk — the American and Soviet-Russian towns that produced plutonium during the Cold War. Each is described in the mirror of the other. After years of experience of the Soviet Union and post-Soviet Russia, the American journalist Anne Garrels decided to focus her reporting on the city of Chelyabinsk in the Urals. Visiting the city for repeated and lengthy stays, she built up a picture of what she called Putin Country in her compelling book of 2016. Implicitly, she often took the same approach as her distinguished predecessors. 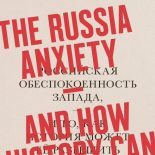 When it comes to looking at Russia, at least as challenging for intellect and imagination as exploring the unique is understanding the ordinary. That task — of normalizing Russia — is half the work of historians and commentators, and is sometimes the half they forget. This entry was posted on July 31, 2017 by beyondthekremlin in Russia past and present and tagged Cold War, Russia today, Russia-and-the-West, US politics and Russia.